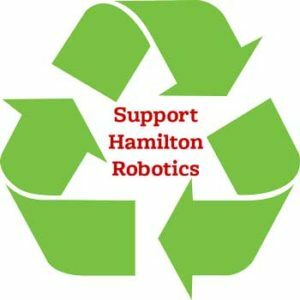 Bring items to free recycling event May 20 - Hamilton School District. Cimco Recycling Milwaukee will set up May 20 from 8 a.m. to 11:30 a.m. on the service drive between Hamilton High School and Templeton Middle School to accept recyclable metals and other items from community members. The event is hosted by Hamilton High School Robotics Team 537. It’s a great time to clean out your home and garage and dispose of items, free of charge. Bring your aluminum, stainless steel, brass, cast iron, sheet iron, copper items and more to the service drive near Templeton. Please check out the Cimco Recycling list of items that can be recycled.